He/She will focus his/her work on mastering the synthesis and characterization of glycostructures and performing their detailed characterizations. A Monthly report and progress meeting will be required. 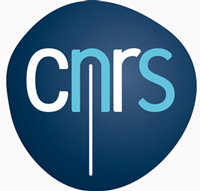 A PostDoctoral Fellow (PDF) position devoted to functional nanocellulose is available as a part of the POLYNAT Carnot Institute collaborative project “CHEM-MFC” coordinated by Dr. Sami Halila in CERMAV - Grenoble (France). This research project combine expertise and skills of CERMAV Lab (CNRS - UGA) in glycochemistry and LGP2 Lab ( Grenoble INP - UGA) in nanocellulose (Julien Bras' team). The position is funded for one year and could start in July 2019. The “CHEM-MFC” project spans from original access towards functional chemical platforms to the grafting & characterization of nanocelluloses. The PostDoctoral Fellow (PDF) will be in charge of optimizing protecting-free functionalization of carbohydrates issues and to perform the detailed characterization of a model carbohydrate compounds then of nanocelluloses for developing bioactive or functional nanocelluloses as pre- or post-treatment of defibrillation. The PDF will benefit from state-of-the-art processing and characterization platforms available within CERMAV (structural and dimensional characterization) & LGP2 (mechanical & surface properties, imaging techniques) labs to develop her/his research on organic chemistry and cellulosic materials. Cermav is a CNRS Institute associated with Grenoble Alpes University and is focused since more than 50 years on glycosciences. The multidisciplinary approach, covering chemistry, physicochemistry and biology, allows us today to held a leading international psoition, in the key research areas of carbohydrates (sugars, oligo- and polysaccharides, glycopolymers and glycomaterials) from their synthesis, characterization, functions to their applications in various fields. The team "Physical-chemistry and Self-Assembly of Glycopolymers" develops new synthetic strategies to modify site-selectively carbohydrate building-blocks and to study their behavior (self-assembly, recognition, bioactivities,...) in solution or in bulk. The collaborative project implies a strong partnership with LGP2 Lab specialized on the field of production processes and final properties of nanocellulose-based materials with a multidisciplinary and integrated approach (from building block to the final material). PhD in Organic/Materials Chemistry if possible with knowledge in carbohydrate-based materials. A good level of communication skills, both oral and written (French and/or English required) to be able to present at conferences, write articles in scientific publications. We are looking for a PDF who will be able to become fully involved with the project, with a thirst for knowledge, with creativity and a certain independence of thought, along with a strong motivation. In addition, the candidate must be able to work in interaction and partnership with the other members of the POLYNAT consortium.